When it comes to your child’s oral health, your pediatric dentist is extremely thorough. Making sure that their mouths are free of cavities and developing properly is a very high priority, especially at such a young age. In order to keep your mind at ease, as well as inform your child that their oral care is sufficient, your pediatric dentist in Birmingham needs to perform X-rays. You may wonder why they need X-rays if their mouth looks healthy, but the fact is your dentist can’t see all problems with the naked eye alone. To provide your family the best diagnostic care possible, your dentist needs to make use of all the tools at her disposal. Even the strongest attention to detail won’t be enough to catch all dental issues without performing an X-ray. Using X-rays allows her to view the supporting structures underneath facial and gum tissue, as well as decay invisible to the naked eye. By catching developing cavities on the sides of teeth or areas close to tissue, we can confirm that your child’s oral care is appropriate or recommend additional treatments for protection, including fluoride treatments and dental sealants. While it’s rare in young patients, X-rays also help your dentist locate cysts, abscesses, or other masses that would otherwise go unnoticed. When your dentist performs X-rays on younger patients, she’ll typically take pictures from multiple angles. This helps her determine how the teeth are forming and if developmental problems need to be addressed. For example, bitewing X-rays are ideal for monitoring the crown portions of teeth where decay can develop, while a panoramic X-ray helps her determine if jaw problems or bone irregularities are developing. In the event that their teeth start erupting crooked, you can start planning for orthodontic treatment later to ensure crowding or improper spacing is treated. You’ll also be able to catch bite problems before they cause issues, including jaw pain, misalignment, and enamel erosion caused by teeth grinding. There’s no reason to fear when your child is receiving X-rays because your dentist uses the most advanced technology available to perform them. Digital radiography is designed to reduce radiation by 90 percent compared to traditional X-rays, but we’ll still provide your child a radiation shield for complete protection regardless. 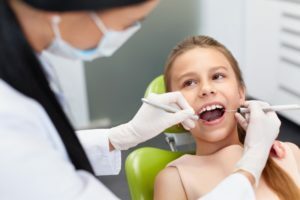 As a bonus, digital X-rays are better for the environment and generated by a computer, allowing your dentist to enhance and enlarge the images of your child’s mouth. This makes diagnosing and explaining their oral health status to patients and parents much easier. For the most thorough preventive care, X-rays are the answer. To ensure your child’s oral health is in good condition, schedule an appointment today! Dr. Angelica R. Rohner is board-certified in pediatric dentistry and a Diplomate of the American Board of Pediatric Dentistry. 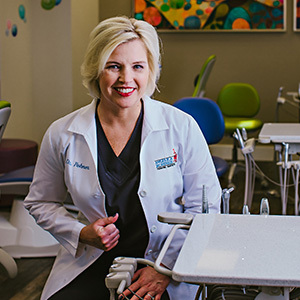 After earning her DMD degree, she completed a two-year residency program to earn her advanced degree in pediatric dentistry, as well as training on orthodontics for growing children. To learn more about her practice, contact her through her website.